Lightning flickered overhead and a tremendous clap of thunder sounded as the crowd disbursed. A lady in her early twenties walked to a car parked near the curb. As she was opening the door, the man in the black coat walked up. 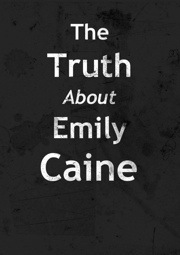 Posted in Short Story, Story Ideas and tagged About, Caine, Emily, Preview, Prologue, Short, Story, the, truth. Bookmark the permalink. This is the first chapter of Fatal Discovery, the first installment in the United Earth Saga. Note: I have not done much editing to this, so there are bound to be mistakes. Alyssa was starring into blackness. She knew someone was calling her name, but she couldn’t bring herself out of the serene bliss that she called sleep. There it was again. The voice sounded familiar. She decided to force herself to get up. Alyssa sat up in her bed, if it could be called a bed. It was only an inch thick… or maybe it should be called an inch thin. She smiled. The voice coming from the communications panel belonged to her long-time friend, Captain Avery Fletcher. Actually he was more than a friend, as they had been engaged at one point in time. Their relationship was at best, complicated. They remained “friends with benefits” for the time being. Fletcher was of course talking about a solar flare. As far as mankind had come technologically, it would seem that this would be no big deal, but a single solar flare, tens of millions of kilometers away would still knock out all communication in the system and reek havoc on navigational computers. “Right.” The comm panel beeped softly as the transmission terminated. Alyssa stood and quickly dressed in her standard uniform (navy blue with a zipper in the back) brushed her teeth and washed her face, as was the norm for her. She looked in the mirror as she pulled her shoulder length, fiery red hair back with a hairband. She thanked god everyday there were no regulations on hair length. She had had long hair since she was young and she didn’t want to part with it anytime soon. She brushed a hair off of the small gray patch on her lower left shoulder that identified her as Lt. Alyssa Anderson, Science Division. She looked around her room for what would almost be the last time. She would come back once more to gather her things before moving down to the surface. Her “spacious” living quarters were only one-hundred square feet, but this was considered larger than normal because most other people on the Excelsior only had seventy-five square feet. One of the perks of being Chief Scientist was an extra twenty-five square feet in living space, but Alyssa would gladly have traded the space for a simpler task on this mission. The Division of Off Planet Mining had selected Alyssa from a list of twelve others qualified for this mission. Of course she had been honored, that still didn’t make the job any easier. Three years ago a research team of ten people had come to Mars in search of deutronium, a major source of fuel for space vessels. The team discovered, as they had expected, a rich deposit of deutronium and set up what was now called Mars Base One. The mission of the Excelsior’s crew was to complete Mars Base One and begin excavation of the deutronium. Alyssa turned to the door and pressed a small silver button next to it. In response, the door slide open with an obnoxious hiss and granted passage to the hallway it was guarding. The hallways on the Excelsior were actually rather disturbing. They were all exactly six feet tall and four feet wide. They were covered, floor, walls and ceiling, with a metal alloy only broken by doors every few feet. Each door was adorned with a small black plate with white lettering identifying the occupant and the “address” of the suite. The halls were lit by extremely bright halogen lights every ten or fifteen feet. Oddly, the lights gave no reflection in the metal alloy that was covering everything. Alyssa walked out the door and down the hallway. As she rounded the corner she passed someone she knew and stopped to converse for several minutes. She finally reached the door of the turbo-lift, pressed the button next to the door and leaned against the metal wall as the lift sped toward her. As she stood waiting, a rather tall and well built man walked up. But before he could say what he thought, the lift reached his floor and he bade her goodbye. The door slid closed behind him and the lift resumed its accent. Alyssa thought she knew where he had intended to go with his comment. In 2132, when Earth United, Russia had been the only nation to refuse to sign the peace treaty. To prevent a war from breaking out, the United Earth Counsel decided to give the moon to Russia for population. With modern technology, the Russians were able to produce their own food and water in airponics labs on the moon. By 2137 the moon became officially know as “New Russia” and Old Russia became part of United Earth. But in resent years, New Russia had been doing some questionable things, including sending spies to the United Earth Counsel meetings. Earth responded in kind by sending it’s own spies to New Russia. There were groups now that opposed New Russia and held the opinion that United Earth should declare war and take over New Russia. After the comet, Linus, was discovered on a direct collision course with Earth, The Counsel formed the United Earth Defense League. The Defense League safely altered the path of the comet and brought it into orbit around Earth. New Russia quickly took possession of this comet, angering the people of Earth even more. Many spies from Earth had mysteriously disappeared in New Russia, but the Counsel had tried to cover this up to keep the people of Earth from panicking. But the Counsel did decide not to officially disband the Defense League, for obvious reasons. The lift finally reached the main bridge of the Excelsior and the door slide open. The bridge was rather spacious and was surrounded by space-glass that could withstand just about anything. The glass also served as the main computer monitors for the bridge. The bridge crew sat in front of the glass tapping it and sliding holographic icon back and forth, keeping the ship operating at maximum efficiency. Standing close to the glass at the front of the bridge was the captain. Alyssa walked over and put her are around his shoulder and they together looked out at the amazing sight. They could see the entire planet below them, bright red barren of life. “It’s beautiful,” Alyssa said softly. Alyssa followed Fletch to the back side of the bridge and stood with him inside of a yellow square. He tapped an icon on the screen and the floor descended into the briefing room below the main bridge. A long table filled most of the room. In the center of the table was a gleaming black sphere. Within the minute, the rest of the senior crew arrived through the sliding door on the right side of the room and took their seats. The captain took a seat at the head of the table and Alyssa, the one to his right. Fletch typed out a series of commands on the touch-pad in front of him and a pale blue beam of light shone fro the sphere in the center of the table. The beam shone on one of the empty chairs to Fletcher’s left. Gradually, the beam began to display the outline of a body and after several seconds, there appeared to be a man sitting in the chair. There was a slight delay in the Ministers response due to the vast distance the transmission was traveling. “Thank you doctor. We will begin shipping down the necessary parts and equipment at 0600 hours tomorrow. The shipping will be overseen by the Chief Architect, William Okuda. Are there any questions?” There was a silent pause. “Alright then, you’re dismissed.” Everyone stood, including the holographic Minister, who vanished halfway between sitting and standing. The black sphere on the table gave three soft beeps and flashed a dull red color, telling all who would pay it attention that the transmission had ben ended. “I see, well the sooner we get this mission done, the better. The relief ship will be arriving in eight months. These are going to be the longest eight months of my life. Posted in Short Story, Story Ideas. Bookmark the permalink.